With the spring months here, some people don’t know where and when to start preparing their home for the spring and summer seasons. There are several things you can do, but the most crucial one is HVAC unit maintenance. Having the HVAC serviced now will prevent any problems during the hot days of summer. Here is what an HVAC service provider will do. The first thing a service technician will do is check the exterior of the unit for dirt or damage. Any debris up against the unit or yard waste piled around the unit will have to be cleared. The technician will advise you of any trees or shrubs that need to be cut back to allow air circulation around the unit. Looking for any rust, dents or cracks in the exterior shell will also be noted. 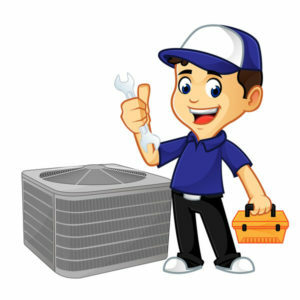 The HVAC technician will check the coil and fan and clean them if necessary. Dirt built up on the coil and fan can make them less efficient and place stress on the entire HVAC system. A hole or crack in the ductwork can allow hot air to circulate in the system causing the unit to run longer to achieve the desired interior temperature. Sealing those holes will keep the house cool and have the unit run less often. The level of refrigerant (usually freon) is checked. If the coolant level is low, the technician may look for a leak in the system. A leak in the system may or may not be repairable depending on where it is located. If needed, coolant is added when needed. Part of any service visit includes inspecting the electrical connections. Wiring and cable connections are checked for misconnections, worn insulation, or fraying. Any damaged wires or cables are repaired. HVAC spring maintenance is a vital aspect of making sure the unit works well. Maintenance should only be done by a qualified technician to make sure the procedure is completed thoroughly and correctly. Also, keep in mind that these service visits will help your unit to run efficiently during both the spring and summer seasons. Under some circumstances, they will need to replace damaged components of the unit if necessary. Contact Good Deals Heating and Cooling to schedule your HVAC unit spring maintenance visit. Call 215-947-1166. What are the Ideal Thermostat Settings? Thermostat systems provide the ultimate comfort especially when the outdoor temperature is uncomfortably hot or cold. With increasing energy costs, there must be a balance between comfort versus cost. 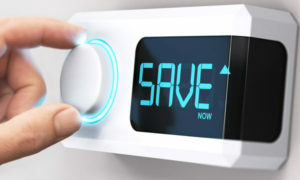 The best way to reduce energy consumption and lower the utility bill is putting the thermostat at its ideal setting. Adjusting the thermostat settings can offer a huge plus when it comes to saving energy and money on utility bills. But, what are the best thermostat settings for the home? During the summertime, it is recommended to keep the temperature at 78F degrees, which to some families may seem high, but the difference will be reflected in the next utility bill. Keeping the air conditioning temperature close to the outdoor temperature prevents the unit from overworking. If the indoor temperature is currently maintained at 70F degrees, families can begin gradually increasing the temperature one degree per day. Additionally, turn on the fan to keep air circulating. That air circulation helps keep the indoor temperature comfortable making up for the adjusted thermostat setting. In the winter, a temperature no higher than 68F degrees is ideal for optimizing savings and significantly reducing utility bills. If you lower the thermostat setting by just 5-8 degrees, there is significant savings on utility bills. During an unusually cold winter, this may seem quite cold, but there are ways to help keep the home warm while keeping the thermostat settings at its ideal temperature. Having a humidifier helps maintain a comfortable house by adding moisture which holds heat. Instead of having to remember to adjust the thermostat settings install a programmable thermostat. Using a programmable thermostat will increase savings and reduce utility usage. These thermostats automatically change and adjust the home’s temperature while at home, work, or on vacation. For working families, the thermostat can raise or lower the temperature during the day when no one is home but adjust the household temperature in the evening for a good night’s sleep. Programmable thermostats are also convenient when it’s vacation time. Whether going away for the weekend or two weeks, the thermostat can be programmed for the minimum of energy consumption. 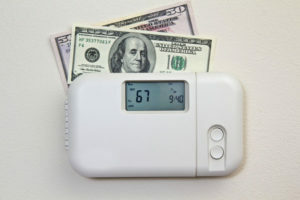 For more information on thermostat settings, contact Good Deals Heating and Cooling at 215-947-1166. How Much Does A New Furnace Cost? All good things must come to an end, and this includes household appliances. If repairs have become more frequent, it may be time for you to put in a new furnace. Replacing a furnace is a significant household expense. Let’s look at how much this project may set you back. The cost of the new furnace depends on the type chosen. 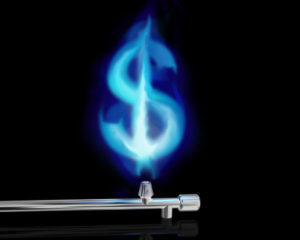 If you select a furnace that uses natural gas, expect a price between $2,250 and $3,800 for the unit. The installation cost (which varies depending on local labor costs and the unit location in your home) is added to this amount. Although oil furnaces are less efficient compared to the gas furnaces, they are still sold in some areas. When installing an oil furnace, the unit cost will run around $2500. If ductwork is required, that will be an additional cost. However, you should remember that more efficient unit with more complex ductwork can cost $10K. If you select electric heat, the cost would be between $1,800 to $2,700. Electric heaters are not the most efficient option when it comes to heating large spaces. Another alternative to consider is a heat pump. A heat pump is a unit that draws heat from the air or ground. These units come with refrigerant coils to use to create cool air in the summer. Heat pumps work best in temperate climates. These HVAC units function decently during summers; however, during frigid weather, their efficiency is limited. Labor costs are a significant portion of this project. The fee not only covers installing the new furnace but disconnecting and removing the old one. Do not expect a flat rate. Average hourly rates for a licensed installer run about $75 per hour. If the installer has a helper/assistant expect another $50 per hour. The total labor cost will include time needed to installation of ductwork, electrical or gas hookup, and even drywall repair. It is difficult for a homeowner to judge how long each of these jobs will take, so before starting any work, obtain an estimate from at least three HVAC installation services. For your protection, always use a licensed and bonded contractor for this type of work. A new furnace will have two warranties; manufacturer’s warranty and contractor’s warranty. These costs are included in the total budget. However, if you want an extended warranty from the contractor, that will be an additional cost. For more information on the cost of a new furnace, contact Good Deals Heating and Cooling at 215-947-1166. Why Is My Furnace Not Blowing Hot Air? It is cold outside and you return home with the expectation of comfortable warmth, and the last thing you need is to discover that your furnace is not blowing hot air. With that said, here are some common reasons for that occurrence. Some of the cases can be fixed by yourself with a little bit of patience. But there are some instances where you need to go for a furnace repair through a professional. Take a look at the thermostat. If the fan is programmed to be “ON,” the fan will constantly operate, even when there’s no warm air. The cold air you feel is the breeze that is generated by the fan. Switch the fan to “Auto” from “ON” and the fan will only come on when there is hot air to circulate. The furnace may be producing hot air, but a clogged air filter may be blocking the air from circulating properly. To fix this issue, all you have to do is to change the dirty filter. As long as the air filter is dirty, the furnace doesn’t get sufficient air supply. A clogged air filter also may result in your furnace to running more frequently – shortening its lifespan. Make cleaning or changing the air filters a regular part of your house maintenance routine. For gas furnaces, check the pilot light. If it is out, check your owner’s manual for instructions on how to relight it. If unable to ignite the pilot, contact an HVAC service company. A gas burner doesn’t light if the flame sensor is not clean. A dirty flame sensor will continuously switch on and off your furnace. Check your owner’s manual for instructions on clearing the flame sensor. If there is not a sufficient gas supply, the furnace will not generate heat. Warm air will not be produced as a result. More importantly, insufficient gas supply can even make the furnace lockdown (as a precaution). Have the gas company check the gas pressure. Furnaces have drain lines to remove condensation. Clogged drain lines can hinder its performances. It is essential to clean the lines to bring back their peak performance. Damaged ducts are another common reason behind a malfunctioning furnace. Holes in the air ducts can allow cold air to be circulated. Depending on where the air ducts are located, the inspection can be by the homeowner or an HVAC service. The selection of a wrong-sized furnace can poorly heat your house. This situation can often happen when adding an addition to the home without upgrading the furnace. A furnace that is too small will never keep a home warm. The only solution is to upgrade to the properly-sized furnace. If after troubleshooting, your furnace is still not blowing hot air, contact Good Deals Heating and Cooling to schedule a service visit. Just call 215-947-1166. With storms on the horizon, many backup power generators are sold every year. These generators are used as a household electrical backup. And because of the electrical power they generate, safety is a critical issue. It is a fact that generators made by well-known manufacturers conform strict safety rules. But if not properly installed or operated even the safest generator can become a hazard. This article will give you some safety tips and how to avoid the most common mistakes. Owner’s Manual – Read the Owner’s Manual that came with your generator. It is essential that you know the basics of operating the generator. If you have read the manual before an emergency, you will be better prepared to use the generator when needed. So read the manual NOW. If you misplaced the manual, then download a copy of it at the generator manufacturer’s website. Have the model and serial number on hand (this is found on the generator), so you can download the correct manual. Proper Installation – A qualified, licensed electrician should install backup power generators to ensure that they meet local electrical codes. Power from an improperly installed generator can back feed along power lines and electrocute anyone coming in contact with them, including line workers making repairs. Grounding -Make sure your backup power generator is properly grounded. The manual will describe how to do this. Water – Keep the generator dry. Water is an excellent electrical conductor. Extension Cords – Make sure extension cords used with a generator are rated for the load, are free of cuts and worn insulation, and have three-pronged plugs. Proper Load – Generators are rated to carry a certain load. Do not overload the generator. A backup power generator should be used when absolutely necessary and only to power essential appliances or equipment. Ventilation – Never operate the generator in enclosed or partially enclosed spaces. Backup power Generators produce high levels of carbon monoxide very quickly, which can be deadly in poorly ventilated areas. Also, do not place generators near any air intake vents to the home. Circuit Interrupter – Use a ground fault circuit interrupter (GFCI) to help prevent electrocutions and electrical shock injuries. Portable GFCIs require no tools to install. 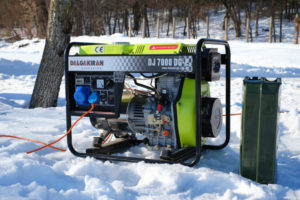 Fuel – Make sure fuel for the generator is stored safely, away from living areas, in properly labeled containers and away from fuel-burning appliances. Always make sure the generator is off and let it cool down before refueling. Shutting Down – Turn off all appliances powered by the generator before shutting down the generator. Children and Pets – Keep children and pets away from power generators at all times. These safety tips will help you safely use your backup power generator when there is a power outage due to a storm. For more information on repairs to your heating and cooling system, contact Good Deals Heating and Cooling at 215-947-1166. Why Is My Furnace Blowing Cold Air? You walk past a vent, and the air is the polar opposite to what it should be. The vent is supposed to be letting out hot air, but instead, it’s cool. There must be a problem, and if it has nothing to do with the furnace settings, you might need to call a technician for a furnace repair. Before you pick up the phone troubleshoot the problem by checking these few items. Thermostat. The first thing you should do if the furnace is blowing cold air is to check the thermostat. The thermostat may be set to “on” instead of “auto.” The fan works continuously in the “on” setting – heat or no heat. With the fan on the air feels cool though the room is warm. Change the switch to “auto” and the fan will only come on when heating. If the problem persists and the thermostat settings are okay, the furnace needs to be repaired. Air Filter. Changing the air filter can quickly solve the problem. If the screen is dirty, its restricting airflow which leads to overheating causing the safety control to shut off the burners. It is a safety mechanism for the furnace protecting it from damage caused by overheating. The solution is changing the filter. Ignition Problems. If the pilot light has a problem the furnace isn’t lighting the fuel, and this means it can’t heat your home either. Check the pilot light is on. Insufficient Fuel Supply. If you use a gas furnace, the gas supply may be turned off, or the gas has low pressure and is not supplying adequate gas to the furnace. In this situation the furnace locks down, and the fan continues blowing cold air. Check with gas supplier. Duct problems. If proper maintenance isn’t done on an HVAC system, leaks can develop in the air ducts. Cold air from the crawlspace enters the duct through these holes, and the vents circulate cold air making it feel like the furnace isn’t working. Drain Line. There are modern high-efficiency furnaces that have a condensate drain line. The line removes water formed during the heating process, and if it gets clogged, switches are triggered that turn off the burners and prevent them from lighting. Once you have checked these items and the HVAC system still has a problem, the best thing is to contact an HVAC service and repair company. If you are in need of a furnace repair, contact Good Deals Heating and Cooling at 215-947-1166. Before the temperature drops to freezing and you crank your thermostat up, take a few minutes to inspect your HVAC unit, change your air filters, and prepare your home for the long, cold winter and snowstorm months ahead. A couple of simple techniques will get your home’s heating system in top shape, so it can do its job to keep your home warm. Besides helping to make sure that you don’t end up in the middle of the cold season with a broken heater or furnace, these tips can also save you money on those expensive heating bills. One of the first steps that you can do is inspect your home’s windows and doorways for leaks where the air is moving. If you find these, and chances are you will, caulk or install some weather stripping to seal up the exposure. It may take some time going to each window to perform this maintenance, but it’s a great way to get familiar with the challenges that your HVAC system has to overcome to keep your home comfortable. These tiny gaps around windows and doors may seem insignificant, and they likely are when viewed singly. But combine them, and you can watch your heat flowing straight out of your home – along with a couple of dollars from your wallet too. If the heat in your home is escaping through cracks around window frames and sills, or openings around your doorways, your heater has to work extra hard to maintain the thermostat’s temperature. Sealing these cracks will save unnecessary work on your HVAC system, and undue strain on your wallet. Air filters trap particles of dust, debris, and germs and can get pretty nasty fast. Once you are spending a lot of your time indoors this winter, make sure the air that you’re breathing is as clean as it can be. Not only will you help combat allergies, but clogged air filters will also put a strain on your home’s heating system. Once the air filters get clogged, air ceases to flow through the filter properly making it harder to keep the temperature in your home regulated. A clean air filter means your heating unit can push warm air through your duct system quickly and effectively, and you can make sure the air you are breathing is clean. Finally, research your home’s HVAC unit. Take the make, model, and year number and perform a little background research. You’ll discover common problems, DIY fixes, the average lifespan, and you’ll find replacement parts and tips to keep the machine running optimally. Get to know the heating and cooling unit that does so much to keep your family comfortable! If you want to call a professional to give your home’s heating and cooling system a checkup, consider asking your HVAC company to inspect your home’s duct system to see if it needs cleaning. This process is a simple process, and HVAC companies are incredibly familiar with it, especially around the season changes. Good Deals Heating & Cooling can perform all routine maintenance efficiently and give you some extra tips on keeping your family warm, and your HVAC unit happy, this winter. For more information call 215-947-1166. When the seasons change, so does the temperature, and that means that it is time for people to adjust the thermostats in their homes. But regulating the temperature in a house can lead to higher utility bills as it takes a lot of energy to reach and maintain an interior temperature that is different from the exterior. Fortunately, there is a way to heat and cool one’s house without spending a fortune on utility bills: installing a programmable thermostat. Installing this device will drastically cut down on energy bills because it can be set to a more efficient cycle rather than just leaving the house at one set temperature all day long. With a traditional thermostat, one has to set it to the desired temperature manually, and then adjust it or turn it off whenever a change is needed. In this situation, the easiest (or laziest) course of action is to put it at one temperature and leave it alone. However, doing this becomes a massive waste of both energy and money. 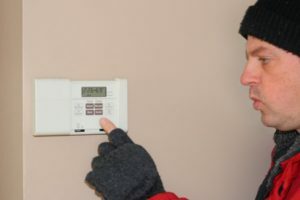 If no one is home, the temperature does not need to be nearly as warm (or cool, depending on the season) – as it would be when everyone is home and awake. There is the potential for considerable savings to have the temperature lowered when no one is home and only raised when everyone is there to feel it. A programmable thermostat solves this problem and makes being energy efficient easy and affordable. 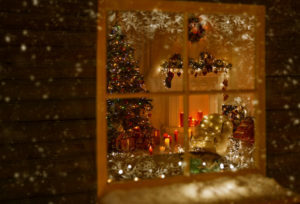 Even the simplest of models will allow the user to set the temperature on a cycle, so that in the winter, for example, it is appropriately warm during the morning and evening when people are home and awake, but cooler during the day when everyone is at work and night when everyone is asleep and under blankets. In the summer, the settings can be flipped, and the temperature can be cooler while people are home and warmer when they are at work. Any programmable thermostat model will work, from the low-priced models that work on a cycle to the more expensive models that can be adjusted remotely through an app. Some utility companies offer rebates for purchasing a programmable thermostat, which will help to lower the initial cost of procuring and installing one. Whether or not rebates are offered, most programmable thermostats pay for themselves quickly. For more information about a programmable thermostat and its benefits contact Good Deals Heating and Cooling at 215-947-1166. 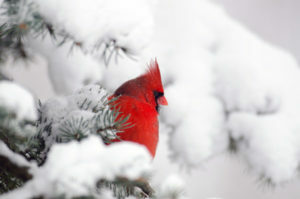 Winter ushers in Christmas and New Year’s Day which are times for fun and celebration. Unfortunately, winter is also the time of year when the weather can take down power lines or overstress a furnace resulting in a breakdown. So what should you do if it’s cold outside and the heat stops? Being prepared is always a good idea. Having a power generator, a kerosene heater, a toasty fireplace with plenty of wood or a wood/pellet burning stove, are all great ideas. Unfortunately, having ready sources of backup heat is not always an option, and many of us are caught unprepared when the furnace goes silent. What should you do to stay warm while waiting for the repairman to come? The first thing to determine why the furnace stopped. Is it due to a power outage? Call the power company and find out how long you may be without power. Knowing what you are facing helps you plan the actions you should take. If the problem is with the furnace, call an HVAC repair service. Once again, determine when a service provider will be able to come out and do the repair. Next, assess what you have to keep warm. Gather blankets, sleeping bags, winter clothing, and any warming aids (chemical hand and body warmers) that you can find. Do you still have hot water? Empty glass bottles make great warmers when filled with hot water. Wear layers of clothing to maintain warmth. Start with a base layer, ideally thermal underclothes. These garments are designed to trap air against your skin to keep you warm. On top of the thermal underclothes, add a wool sweater or thick sweatshirt. For the legs put on denim jeans or wool pants. This second layer should be breathable fabrics that still allow airflow. If it is extremely cold, top off these clothes with a jacket or coat – a garment that “seals” the heat. Remember your extremities so add gloves, scarves, a woolen hat, ear muffs, and even boots. Ingesting warm liquids in the form of tea or soup helps the body stay warm. Staying hydrated will help the body generate the heat required to function. Avoid drinking alcohol because the “warming effect” you feel is false. Alcohol does not contribute to warming the body. Is there a room in your house or apartment that can accommodate everyone and can be closed off from the rest of the house/apt? Set up camp in that room. It will be much easier to stay warm together in one place than spread out. Whenever possible, bundle up in blankets, sleeping bags, and extra clothing. If your apartment has radiators, they should always be kept clean – any amount of dirt and dust sitting on top of them will absorb some of the heat that is produced. You should also remove any radiator covers when the heat is on, as covers can block the airflow through the radiator in addition to absorbing heat. Move your furniture so that all chairs, couches, bookcases, entertainment units, desks, beds, etc. are not too close to your radiators or heating convectors. Don’t let your drapes or curtains cover them either, as they will divert heat to the windows (and therefore out of your apartment if they aren’t adequately sealed) instead of into the rest of the room. Don’t use your oven to warm the house. Don’t use propane heaters or charcoal stoves in the house (or garage). Staying warm is important, staying alive is even more so. Carbon Monoxide is toxic and accounts for hundreds of deaths every winter. Don’t use hot showers or baths to warm up as your body temperature will drop to a lower level afterward. When in doubt, stick with extra clothes, sleeping bags, blankets, hot water bottles, and shared body warmth to keep you warm. Prepare yourself and then have a beautiful, happy, peaceful, and safe Christmas. Enjoy the break and recharge your batteries for work in New Year. Contact Good Deals Heating and Cooling for emergency HVAC repair. Call 215-947-1166. Air quality inside your home is an essential part of keeping your home habitable. There are a lot of resources that are available to keep your air quality at a reasonable level. In this article, we are going to cover a couple of options for monitoring and maintaining excellent air quality in your home. Foobot is a monitor that allows you to track the quality of your air in your home. The device connects to your smart thermostat and displays results on an online dashboard. These monitors let you know if additional methods need to be put in place to keep your home’s air clean. When this type of ventilator is installed in your home, it uses the energy that comes through your existing air exhaust to power air purification technology. This energy efficient ventilator allows air to flow better through your home. Commutated fans are powered via direct current from your air conditioning system. This system is more energy efficient than other methods of power available to fans. The blowers on board do a fantastic job at ventilating your home or business. Fans and blowers that use commutated air control have enhanced control over the speed at which they ventilate the house. If you want to ensure good air quality, then a system like UV advanced photocatalytic oxidation is the way to go. This system is installed inside your centralized air system and scrubs all air that comes into the house. It works to keep your whole home filtered. When using this system, it also prevents mold from growing in the air ducts and dispersing spores throughout your house. A lot of different options have been invented to help you with air quality. Talking over your specific needs with an HVAC contractor will help them identify the best solution for you. They can come out to your property and address your particular needs. Good air quality is essential especially for persons suffering from respiratory ailments or allergies. Being able to control the quality of your in-home air can make a big difference – it means healthier living and easier breathing. What is your home air quality? The best way to discover this is to work with a heating and cooling company that specializes in providing air quality solutions. For more information on improving the air quality in your home contact Good Deals Heating and Cooling at 215-947-1166. Philadelphia, Abington, Bensalem, Bordentown, Bristol, Burlington, Croydon, Fairless Hills, Feasterville, Florence, Hatboro, Huntingdon Valley, Jamison, Langhorne, Lawrenceville, Levittown, Morrisville, New Hope, Newtown, Pennington, Richboro, Southampton, Titusville, Trenton, Trevose, Washington Crossing, Yardley. Guaranteed to work for you, with the highest standard of excellence. Our goal and commitment is to exceed our customer's job satisfaction. All work guaranteed!